The best figurines from the DC Superhero Collection are being re-launched in metallic polyresin with updated packaging, improved figurine bases, and updated magazines. The collection features 1:21 scale figurines of DC Comics greatest heroes and villains. 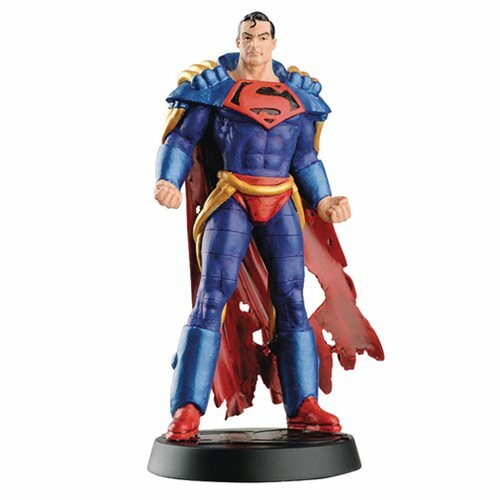 The DC Superhero Superboy Prime #39 Best Of Collector Figure stands 3 1/2-inches tall and comes with a 16-page magazine that details Superboy Prime's history. The packaging is a compact box and blister that allows collectors to display the collection in a practical space-saving manner. The box measures 7-inches tall x 6-inches wide x 2-inches long. Ages 14 and up.